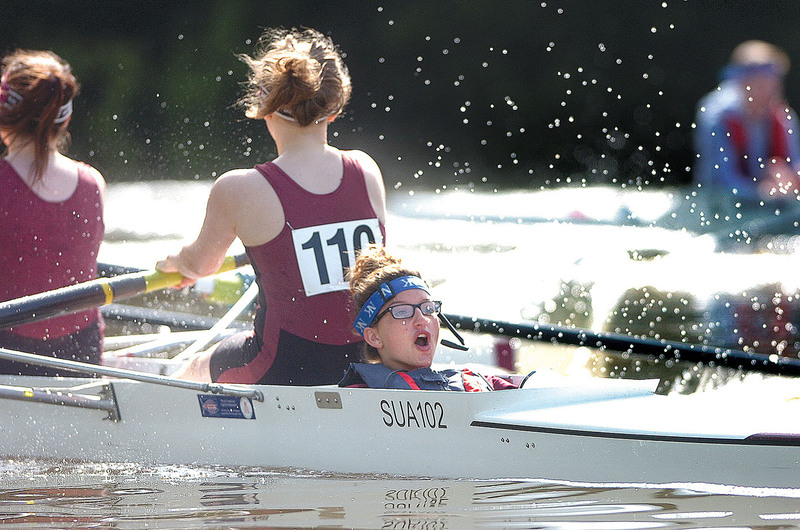 Rosconn Stratford Boat Club Regatta: Another Great Success! What a great day! Excellent racing: great participation from crews as far afield as Bewdley Rowing Club, Cardiff & Vale Schools Rowing Association, Evesham Rowing Club, Nottingham & Union Rowing Club, Royal Grammar School Worcester, Stowe Sculling Club and Warwick Boat Club and newcomers from Becket School Rowing Club, Cotswold Rowing Club, Holloway Scullers, Leicester Rowing Club, Merton College, Monkton Combe School, Monmouth Comprehensive School and Northwich Rowing Club. (J17) and Imogen North (J18), rowing for King Edward VI School and Stratford upon Avon Boat Club respectively competing at Henley Women’s Regatta. 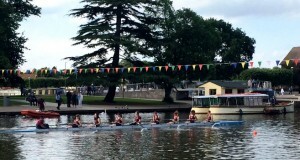 The racing took place over a distance of 1500 metres upstream on the famous Henley Royal Regatta course. Both athletes took part in the Junior Women’s singles division. The category saw a high-class entry of scullers from both the U.K and from overseas. A total of twenty nine competitors took part in an initial time-trial, eliminating all but the top sixteen athletes. Both Stratford athletes progressed comfortably, ranking in the top ten overall. Racing against extremely tough competition, unfortunately both Esme and Imogen were knocked out in the following rounds not being able to progress to the last eight and last four respectively. There was more good news for Stratford crews as the Club’s Men’s Seniors coxed four has pre qualified for the Britannia Challenge Cup at Royal Henley Regatta in less than a week’s time and the coxless four will be going through the qualifying round this coming Friday.